The Pioneer Village is open weekends May through October from 1:00 to 4:00 p.m., and by special arrangement. The Brown County Historical Society operates the village with a staff of volunteers. The village's five buildings include a weaver’s workshop, pioneer cabin, doctor’s office, blacksmith’s shop and the Old Log Jail. The buildings are furnished and equipped with period furnishings and equipment. The weaver loom operates with volunteer help and functions when a volunteer is available to run it. 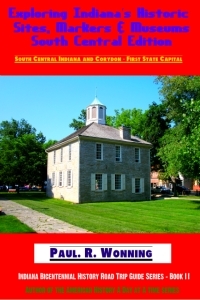 The Brown County Historical Society requests a small donation for adults. Children have free admittance.